Today, Jim and I will be involved in preparing ourselves and the 5th Wheel to move up and down the I-65 corridor. We and other members of our family will go over to my Mom’s to visit tomorrow and have our “Christmas” lunch with her, and then all of us will drive down I-65 to Decatur, Alabama, to have a “Christmas” visit with my Dad and step-mom. We’re doing this today because we will be with Jim’s family during Christmas itself this year. Tomorrow evening, we’ll then drive back up I-65 to our campground, where we will begin final preparations to move the RV to Paducah, Kentucky. After being parked in one place for a full month, we’ve got quite a few things to stow in preparation for transition. Also, there are some monthly and weekly maintenance jobs to be done today such as empting tanks, clearing leaves off the roof, checking the slides, spraying the slide mechanisms and seals with silicone, etc. These things need to be done on top of all of the daily living activities such as cooking, dishes, laundry, etc. It is going to be a very busy weekend! Monday morning, Jim and I will hitch up the truck to the 5th Wheel, leave our car at the campground for now, and head up I-65 north to I-24 west to Paducah, Kentucky. 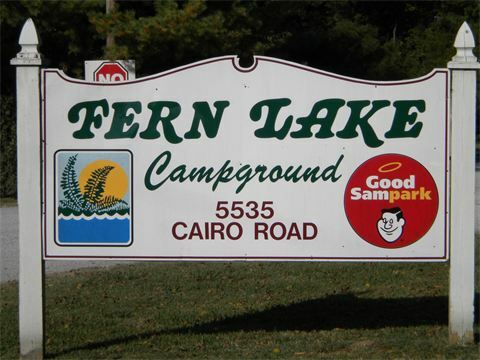 We’ll stay at Fern Lake Campground four nights while visiting with family across the Ohio River in Southern Illinois. If weather or work surprises do not present themselves, he and I will then return to Texas T for two nights and retrieve our car before moving down I-65 south to a new site where we will park for a week (or more) of warmer weather. 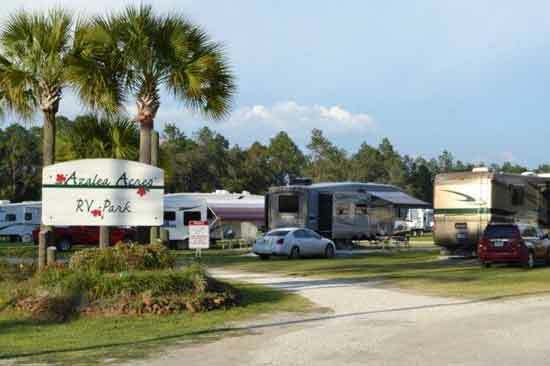 We’re going to spend the week of New Year’s at Azalea Acres in very southern Alabama; the park is located 27 miles from Mobile, Alabama, and 32 miles from Pensacola, Florida, and 45 minutes from Gulf Shores (See “Map” on the main age of this Blog). Warmth! At this moment, what happens after the first of the year is still up in the air. All I can tell you is that there is a third potential project in the mix, and I think Jim said this one could be remote work for 3 months – that means we could be parked anywhere if he works that one. Normally, a planner like myself would be stressed out not knowing what is coming next, but at the moment, I’m finding it kind of fun.